Imagine being given just a 4% chance at living, and then surviving. 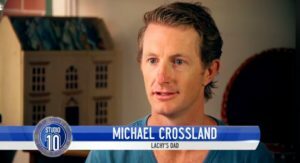 That’s exactly what happened to Michael Crossland, who is now hoping for those incredible odds again – not for him, but for his newborn son, Lachy. David Robinson brings us this inspirational story.